Aria- is a light cement blue creme which can be seen in many runway design collections. This is one color I would never think of spring, but work s perfectly pair with some of the colors in the collection. The formula was perfection and was super easy to apply. This is two coats sealed with top coat. Blush- is a soft natural blush creme and one of my favorites shades for the spring. I was impressed how perfect it looked in one coat. The formula was perfection and was super easy to apply. This is two coats sealed with top coat. Icon- is a soft white crelly. This is truly a classic and elegant shade for the season. The formula on this polish is pretty good. I had no problems with streaking or staining at all. Your will probably need more than one coat for full coverage. This is three coats sealed with top coat. Azure- is described as muted medium teal creme, and another favorite of mine. The formula on this polish is amazing and applied smoothly on the nails. So opaque it's perfect for stamping! This is two coats, sealed with top coat. 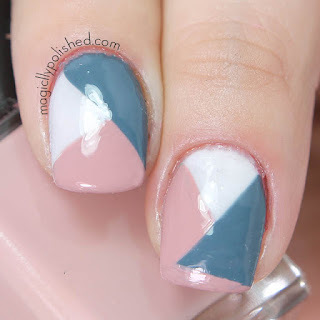 For this look, I wanted to create a color blocking design using the top three shades. Although all of the colors do go well together, these were my favorite as for the combination. For the base I used three coats of Icon. 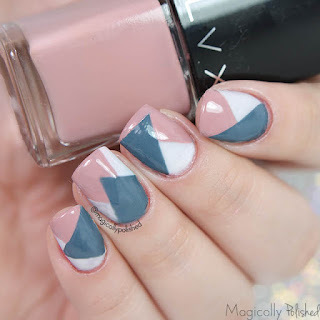 I then freehand the triangles, using Blush and Azure. Once that was set I sealed the deign with top coat. I absolutely love how these came out. Fleur- is a soft lavender pink creme and the perfect color for the season. 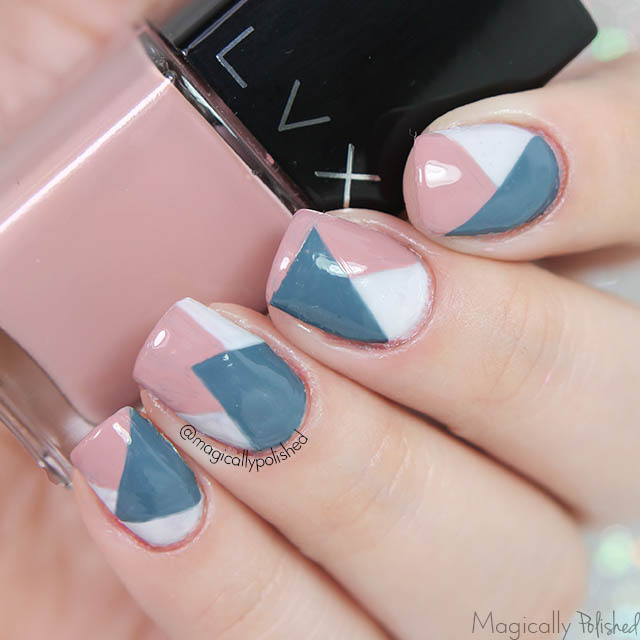 The formula on this polish is amazing and applied smoothly on the nails. This is two coats sealed with top coat. Mondarin- is a gorgeous fire red creme with a hint of pink undertones. This is another favorite shade of mine on this collection. The perfect color for the season. 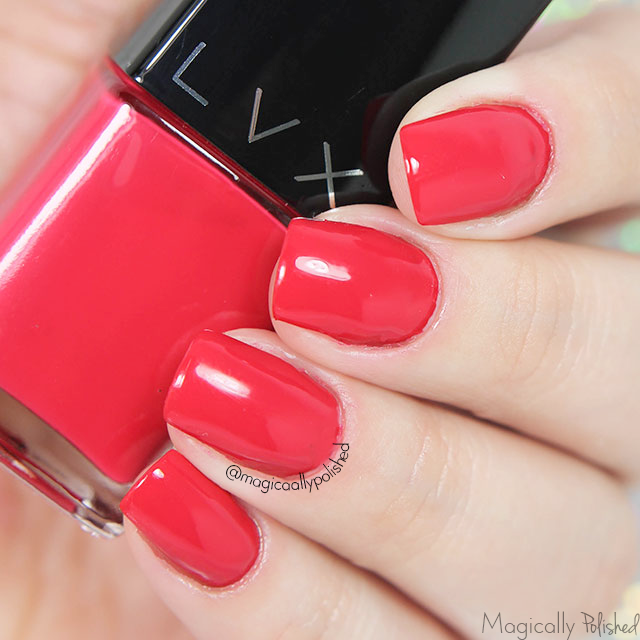 The formula on this polish is amazing and applied smoothly on the nails. This is two coats sealed with top coat. 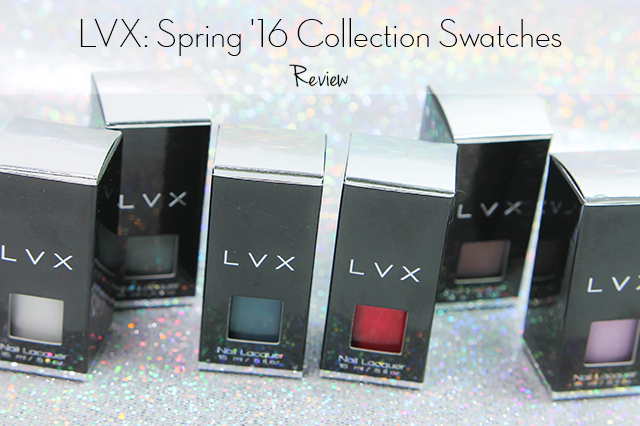 Overall I am very impressed with LVX polishes and their unique colors. Their formula requires minimal coats, which makes the application easier and fast drying time. You can purchase on their website here for $18.00 each. Be sure to follow for more updates and photos here: Facebook: shopLVX Instagram: @shopLVX Twitter: shopLVX Pinterest: LVXnails Hope all of you enjoyed my post today! What do you guys think? Let me know in the comments below!